This title was first published in 2003. The place in which we stand is often taken for granted and ignored in our increasingly mobile society. Differentiating between place and space, this book argues that place has very much more influence upon human experience than is generally recognised and that this lack of recognition, and all that results from it, are dehumanizing. 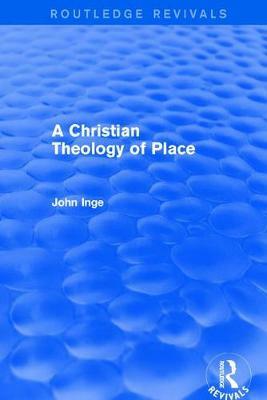 The author presents a rediscovery of the importance of place, drawing on the resources of the Bible and the Christian tradition to demonstrate how Christian theology should take place seriously. A renewed understanding of the importance of place from a theological perspective, has much to offer in working against the dehumanizing effects of the loss of place. Community and places each build the identity of the other; this book offers important insights in a world in which the effects of globalization continue to erode people's rootedness and experience of place.